Hi, I'm Enodoc and I live in Britain. Some of you may know me from The Fable Wiki. This user has made a grand total of 19,771 edits in 2958 days. This user scored 27320 points on the UESPholic Test. This user was born under the sign of The Tower. This user understands the workings of wikitext. This user is an admin on The Fable Wiki at Wikia. This user supports the Empire. This user likes the view from the top of Mount Moesring. 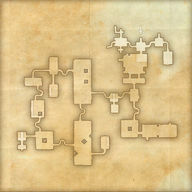 This user's favourite location in Skyrim is Whiterun. This user's favourite location in Cyrodiil is Chorrol. 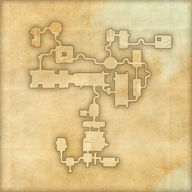 This user's favourite location in the Shivering Isles is Cylarne. This user's favourite location on Vvardenfell is Balmora. This user is a member of the Daggerfall Covenant. This user is an ESOTU Community Ambassador. Place X Objective: Do the thing. Place X Complete: You did the thing. Online:Ash Weapons Needs to be updated following changes in Update 6. Online:Beech Weapons Needs to be updated following changes in Update 6. Online:Birch Weapons Needs to be updated following changes in Update 6. Online:Brigandine Armor Needs to be updated following changes in Update 6. Online:Calcinium Armor Needs to be updated following changes in Update 6. Online:Calcinium Weapons Needs to be updated following changes in Update 6. Online:Cotton Armor Needs to be updated following changes in Update 6. Online:Dwarven Armor Needs to be updated following changes in Update 6. Online:Dwarven Weapons Needs to be updated following changes in Update 6. Online:Ebon Armor Needs to be updated following changes in Update 6. Online:Ebon Weapons Needs to be updated following changes in Update 6. Online:Ebonthread Armor Needs to be updated following changes in Update 6. Online:Fell Armor Needs to be updated following changes in Update 6. Online:Full-Leather Armor Needs to be updated following changes in Update 6. Online:Galatite Armor Needs to be updated following changes in Update 6. Online:Galatite Weapons Needs to be updated following changes in Update 6. Online:Hickory Weapons Needs to be updated following changes in Update 6. Online:Hide Armor Needs to be updated following changes in Update 6. Online:Homespun Armor Needs to be updated following changes in Update 6. Online:Iron Armor Needs to be updated following changes in Update 6. Online:Iron Weapons Needs to be updated following changes in Update 6. Online:Ironhide Armor Needs to be updated following changes in Update 6. Online:Ironthread Armor Needs to be updated following changes in Update 6. Online:Kresh Armor Needs to be updated following changes in Update 6. Online:Leather Armor Needs to be updated following changes in Update 6. Online:Linen Armor Needs to be updated following changes in Update 6. Online:Mahogany Weapons Needs to be updated following changes in Update 6. Online:Maple Weapons Needs to be updated following changes in Update 6. Online:Nightwood Weapons Needs to be updated following changes in Update 6. Online:Oak Weapons Needs to be updated following changes in Update 6. Online:Orichalc Armor Needs to be updated following changes in Update 6. Online:Orichalc Weapons Needs to be updated following changes in Update 6. Online:Quicksilver Armor Needs to be updated following changes in Update 6. Online:Quicksilver Weapons Needs to be updated following changes in Update 6. Online:Rawhide Armor Needs to be updated following changes in Update 6. Online:Shadowhide Armor Needs to be updated following changes in Update 6. Online:Shadowspun Armor Needs to be updated following changes in Update 6. Online:Shields Needs to be updated following changes in Update 6. Online:Silverweave Armor Needs to be updated following changes in Update 6. Online:Spidersilk Armor Needs to be updated following changes in Update 6. Online:Steel Armor Needs to be updated following changes in Update 6. Online:Steel Weapons Needs to be updated following changes in Update 6. Online:Superb Armor Needs to be updated following changes in Update 6. Online:Voidsteel Armor Needs to be updated following changes in Update 6. Online:Voidsteel Weapons Needs to be updated following changes in Update 6. Online:Yew Weapons Needs to be updated following changes in Update 6. 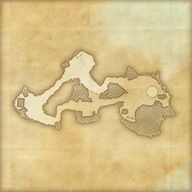 Places - do we need to re-evaluate all of these again? 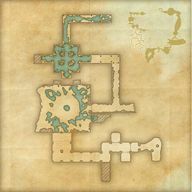 Dungeons are not what we think they are - Dungeon Damage Dealer considers many more things to be "Dungeons"
"Stores" redirects → "Stalls" category to separate them from Store buildings (most of which have icons) ??? 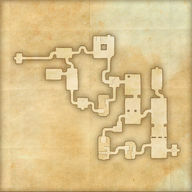 9 - Towns, Forts, Dungeons, Landmarks, Group Bosses, Dolmens, Crypts, Cemetaries, Battlefields, Groves, Ruins, etc. 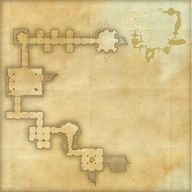 These may be adjusted for larger or smaller dungeons, but it's generally this or add/subtract 1 on all levels as appropriate. Just thought I'd throw together a couple of lore inconsistencies I noticed with ESO (if anyone wants to comment, feel free to leave a message). ESO takes place 1000 years before Skyrim. This puts it at around 2E530. Faliensti has stopped moving. But Falinesti doesn't root until during the 3rd Era (around 3E420), and this is for the first time. Scrap that one. That was just the article writer's addition, not an official lore concept. 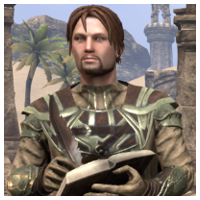 The Aldmeri Dominion isn't formed until 2E830, so why does it exist in 2E530? I've been thinking about this one. See below for a reasonable reinterpretation of PG 1st Ed. Regarding Aldmeri Dominion, above; Pocket Guide, 1st Edition, states The Aldmeri Dominion is a relatively recent creation. Formerly divided into the two realms of the Summerset Isles and Valenwood, the Aldmeri Dominion has its origins in CE830, when the heirs of the Camoran Dynasty began to fight over the Valenwood throne. ¥R's annotation, regarding The Aldmeri Dominion is a relatively recent creation says of this pamphlet, this regime, this lunacy. Instead of it's initial interpretation of eg. 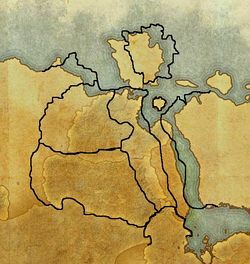 "The Empire created the concept of the Aldmeri Dominion as a means to belittle the Aldmer", consider instead "The Dominion was around already. The Empire only noticed it recently because of the Camoran Dynasty civil wars". Thereby the Dominion could have existed in the shadows since ca. 2E579. Prior to 2E896, the climate of Cyrodiil was tropical. Following Tiber Septim's conquering of Tamriel, he changes the climate of Cyrodiil to temperate. Hence before 2E896, and therefore during ESO, Cyrodiil's climate should be tropical. I queried this on some forum or other somewhere, and was presented by another fan an acceptable retcon for how this could explain Cyrodiil being temperate before it was made so (if they are indeed taking the basic Cyrodiil from Oblivion). From Mythic Dawn Commentaries 3, CHIM. Those who know it can reshape the land. Witness the home of the Red King Once Jungled. From The Many-Headed Talos (Imperial Library), You have suffered for me to win this throne, and I see how you hate jungle. Let me show you the power of Talos Stormcrown, born of the North, where my breath is long winter. I breathe now, in royalty, and reshape this land which is mine. I do this for you, Red Legions, for I love you. Based on current Tamriel lore, Cyrodiil is not a jungle in The Elder Scrolls Online. To quote the scholar Phrastus of Elinhir: "The use of the phrase 'endless jungle' to describe Cyrodiil appears to be an error in transcription. Close study of the original, badly faded manuscript reveals that the phrase was miscopied, and should be more accurately rendered as 'extensive uplands.' The adjectives 'an equatorial rain' as applied to the Nibenay forest do not appear in the original manuscript at all, and I would posit were added by the scribe in support of his previous erroneous use of 'jungle.' Lady Cinnabar of Taneth, of course, takes issue with this exegesis, but the flaws in her methods of scholarship have been well-documented elsewhere." For them to make this retcon work with established lore, Cyrodiil needs to have more forested regions in ESO than it did in Oblivion. Then there is some sort of jungle for Tiber Septim to get rid of later. Foresting, say, the Colovian Highlands (their "extensive highlands") and Nibenay Basin (where you get more rainfall) regions could get around that. If they say jungle was better translated as highlands, maybe there could be more highlands that Tiber Septim will remove later. That means though that the two counts mentioning jungle (MDC3 and MHT) are also not accurate. Cyrodiil, at the time of TESO, was supposed to be a large jungle zone, Talos having later changed the climate. Instead, Cyrodiil will look like it does in Oblivion, and there’s a book in the game explaining why. You’ll have to explore Cyrodiil to find the answer! I hope The Heartland of Cyrodiil isn't the book they're referring to (although it probably is). It's exactly the same as the "transcription" retcon above. This then doesn't explain what climate there is for Talos to change. 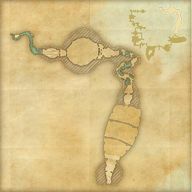 Subtropical Cyrodiil: A Speculation. Notably this book is in direct opposition to The Heartland of Cyrodiil (as their authors seem to have a long-standing feud with each other). This is an interesting one, and closest to what I believe is the reasonable truth. It still doesn't directly explain why Cyrodiil is not tropical now (ESO time), which it should be for Talos to change it later. But it may explain why it is not tropical later and may not have been temperate earlier. I have my own speculation on that (below). White-Gold Tower (an echo of Adamant-ur-Tower, the causal nexus of linear time) responded to Man's new dominance of said Tower (and reception of its Stone) following the overthrowing of the Ayleids, and altered the local flow of time, thereby setting in motion the changing of the climate (SCAS suggests it was gradual, not immediate). Talos achieving Chim and becoming the new owner of the Tower and Stone finalised the temporal flux which began with the Alessian rebellion, fixing that which was and would be into a temperate climate. The temporal flux means it may have been perceived to be either temperate or tropical between Alessia and Talos, due to it being both at once, while it was definitely one before, and definitely the other after. They have said in AuA Variety Pack 4 that We have new lore books (by the scad) and old favorites from previous TES games – including both volumes of “The Lusty Argonian Maid.”. This is not possible, as it wasn't written for another 600 years. They've retconned it into being a story which "has its origins in a long line of tales told by traveling bards, each with a slightly different title and premise". The book ON:Exegesis of Merid-Nunda mentions the work of Herminia Cinna (Ayleid scholar), but she isn't around for another 600 years either. Herminia Cinna's own book ON:The Last King of the Ayleids is also here. They'll probably retcon it into being two different people. There's a bunch more books that turn up in ESO that by common understanding were considered to be written later than 2E583. This has led to a fan theory that basically states books from the future have started randomly falling out of the sky due to the Planemeld mucking up the linearity of time. A really bad example is ON:When the Dragon Broke, which specifically mentions Numidium in Rimmen (end of the Second Era) and the Warp in the West. 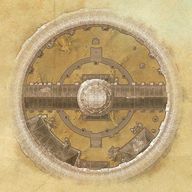 Maybe it's all because of this: Gandranen Ruins - Tales say that Gandranen was built by an Ayleid sorcerer, a worshiper of Hermaeus Mora who so loved books that she created a series of magical halls that would attract books from across Tamriel, no matter where—or when—hey were published. The interactive map shows a number of regions crossing provincial borders. That's fair enough; they can put their regions wherever they want. As long as it works. Adding here so that I remember to check that it works. Eastmarch and The Rift extend all the way to the eastern coast, therefore out of Skyrim and into Morrowind. 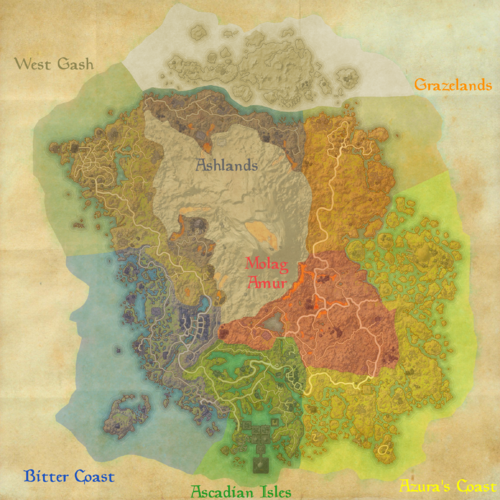 They need to make sure they haven't completely forgotten about the Velothi Mountains, and that east of the mountains there should be Morrowind landscapes. Blacklight should be present within the northeast area of the Eastmarch region. 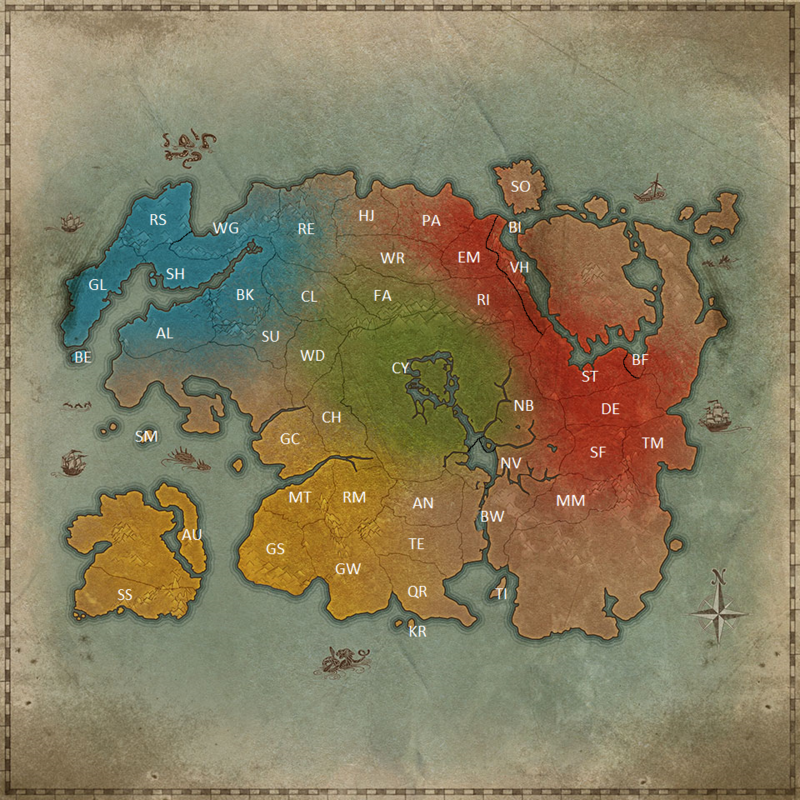 This map shows that the regions do work within their own context, but there is still a discrepancy between the position of Windhelm and the relative positions of where Winterhold (north-north-west, which would be in the sea on this map) and Blacklight (east, also in the sea) are supposed to be. Windhelm should be one bay further to the left. 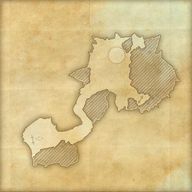 Solstheim is also too far to the west on this map. 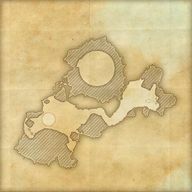 Where did Bleakrock Isle come from? There's never been an island in the mouth of the Inner Sea before. 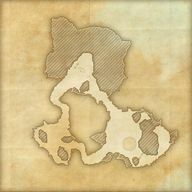 A poorly-thought-out retcon for the Windhelm/Blacklight/Bleakrock map discrepancy: Blacklight is actually further southeast than we thought it was. 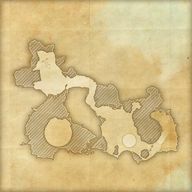 Instead of being directly east of Windhelm, it's actually directly west of Gnisis, on the headland south of Bleakrock. 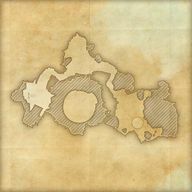 Fun fact: the most recent version of the map has removed the part of Morrowind that The Rift and Eastmarch were covering. Why are there so many Ayleid ruins in High Rock when it was supposed to be the Direnni stronghold? 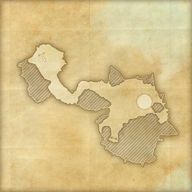 Where are the Direnni ruins? Why did the Direnni allow the Ayleids to build Erokii? The Xylo River is a waterway along the traditional border between Valenwood and Elsweyr. No comment. Do these colours mean anything in terms of gameplay? Perhaps a lesser/greater reward upon completion? It seems not, but rewards are comparatively lesser since they are absolute, not relative. Objectives that logically should be part of the story (because the story directs you right past it, or it is otherwise very story-relevant), but technically are not because the pointer quests don't end there. Pointed through by Striking Back. Is story-relevant as it's an Alliance city that requires reclaiming from the Legion (cf. 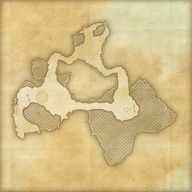 Satakalaam, Evermore, Arenthia). Complete Hallin's Stand before Bangkorai Garrison, and after Bangkorai Garrison without starting Striking Back. An extra questgiver turns up at Vulkhel Guard after A Hostile Situation. Is story-relevant as it involves getting the Heritance out of the village. Is not pointed through. May set precendent for introducing other non-pointed quests to the story chains. Is story-relevant as it involves Estre letting Daedra loose. Pointed through by The Great Tree. Is story-relevant as it introduces Gharesh-ri and the Jade General. Gives the quest Trouble at the Tree, a pointer to Elden Root, if The Great Tree is not started. Pointed through by Before the Storm. Inferred by House and Home. Is story-relevant, as it involves the Green Lady's background. 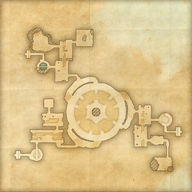 Referred by Restore the Silvenar. Is story-relevant, as the Handfast is required in the ceremony. Is story-relevant as it involves clearing the town of Dominion (the town is used later), and Vicecanon Servyna is in it. Is story-relevant as it leads to a Loriasel Keystone. See if it is pointed from if you do it early. 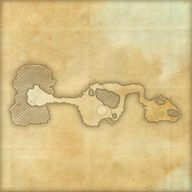 Is pointed to from Murkwater, so if that's in, so is this. Is not pointed through by the story. May set precendent for introducing other non-pointed quests to the story chains. See if it is pointed from if you do it after Murkwater. It's Cadwell-critical, but is not pointed to. Lieutenant Koruni seems like she would start this quest after Morvunskar, considering how much dialogue she has about it, but instead only gives you Victory at Morvunskar. She should either give two quests, or only a Cradlecrush one, with Victory at Morvunskar used only if Cradlecrush is already completed, and a pointer to Fort Amol coming after Cradlecrush otherwise. The quests are not story-relevant, and should not even be Cadwell-critical. 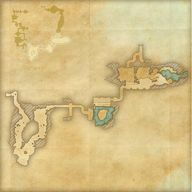 Here is a map of the known regions in ESO, and some areas that could potentially become new zones and adventure zones. 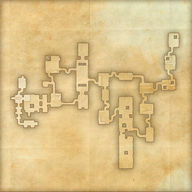 This is based on an earlier version of the official Tamriel map, which had region borders. Best-guess of Vvardenfell geographical regions, based on weather and climate conditions in-game. Pip Level 1: Solo boss or "Elite"
Pip Level 3: Dungeon boss or "Champion"
ZOS_GinaBruno: Datamining information isn't illegal or against the TOS, but please understand that anything datamined isn't final and is subject to change. Not that this is an endorsement to actually do it, but since we do it anyway for our information, I thought I'd add here some things I found while digging in the data files that aren't used yet, but may reasonably appear in the future. Only things that look "finished" are here, no partially-created stuff. There are related notes, diaries and journals referring to the "Twilight Lodge" and the "Violet Lodge", as well as "The Whispered Ball"
This particular group of Nocturnal cultists we're looking for call themselves the Violet Lodge. And finally, you'll be inducted into the Violet Lodge at the great altar of Nocturnal herself. Yes, it's the big recruitment party for the Violet Lodge. It's held at Headman Cosh's manor in Abah's Landing. We'll need each one of our members to contribute their talents on that mission. But first, I have a special mission just for you. Implications: Molemir's Estate is connected to the "Lodge", an organization of Nocturnal worshippers. Nocturnal is also patron of the Thieves Guild. Lodge recruitment takes place at Abah's Landing. 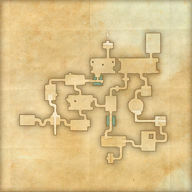 Therefore Abah's Landing is part of the Thieves Guild questline, and the Lodge is the primary antagonist of that line. Update: Keeping solely for posterity. 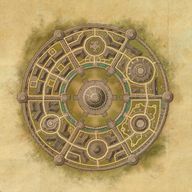 Thieves Guild on PTS makes no mention of the Violet Lodge; seems that it was scrapped, much like the original Imperial City design. A casualty of B2P? So he's the chamberlain of Jyggalag. But what/where is Mytheria? My opinion - Mytheria is the name of Jyggalag's realm of Oblivion (or at least it was, before it became the Shivering Isles). Does time pass linearly and concurrently in Oblivion, since Akatosh exists within Mundus? I would like to say that it is linear but not concurrent, as I would expect the Daedra to somehow regulate their own 'time'. Then the only instances when time is concurrent are when Oblivion and Mundus are connected [by Oblivion Gates, the Mouth, Dark Anchors] (otherwise logic doesn't work). Without concurrent time, a day in Tamriel could correspond to a century in the Shivering Isles, or a minute. Or indeed both or either, depending on the whim of Sheogorath. Is there a more mystical connection between The Tower and The Tower? 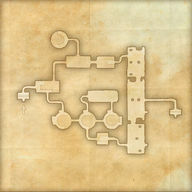 It is said that the Tower is embodied by the fourth constellation; is that just representative, or is there more there? If Mundus is the hub, Aetherius is the spokes, and Oblivion is the spaces, what is the rim? Vehk doesn't answer that question, he just goes into crazy stuff about giving birth to souls. Or is it that the rim is Aetherius, and the spokes are the Divines, acting as the bridge between Mundus and Aetherius? How can there be eight spokes, but sixteen spaces? This page was last modified on 19 January 2019, at 00:10.